In this the month of World AIDS awareness, I would like to invite each and every one of you: Lets not make it just one day to reflect on the reality of HIV and AIDS and to do something towards lessening the plight of the pandemic, rather lets make the commitment to keep it in our minds always, keep ourselves safe, and to tell those we come across about it and how to protect themselves. I know that many of us working in the industry already do this on a daily basis – keep up the good work. HIV/AIDS is a disease that affects us all in one way or another and each one of us at risk at one time or another and we all need to take care. It never ceases to amaze me how many people in the so called middle and upper classes have this perception that they are somehow exempt from risk of contracting HIV/AIDS. In my opinion, this is really naive. Each of us who is sexually active is capable of catching and passing on the disease. As we all know HIV can even infiltrate the so called sanctity of marriage, it only takes one partner to be unfaithful and not take care to protect themselves and their spouse. This is why faithfulness, honesty and communication are so important in our relationships. Just a little something to ponder for those who maybe don’t often or haven’t pondered this. So, take control, get tested today, know your status and encourage others too!! Transfarm, pharmaceutical wholesaler now also stocks Complivite. This is great news for companies who purchase their pharmaceuticals and other clinic supplies from Transfarm. Courier Pharmacies: Chronic Medicines Dispensary CMD, Medipost, Pharmacy Direct and Springbok Pharmacy. Pharmacies: Our products are available on request from most pharmacies in South Africa and are stocked by most in Swaziland. Keep well and have a great day!! The Village Safe Haven hosts an open day 16th October 2010 from 10 am. See below for link to their site. The Village Safe Haven is a cluster foster care facility for orphaned, vulnerable and abused children and they work to make a difference in, as they say, the right way. 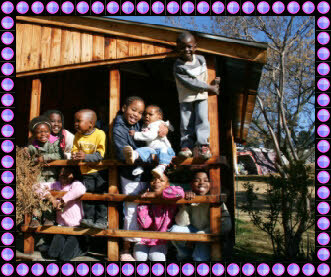 The Village Safe Haven is situated on a 6 acre piece of land in Buccleuch, Sandton, Gauteng, and is a home to orphaned and abandoned children infant to about 10years old. Up to 30 children are catered for at a time.There is one “parent” per 6 children to ensure that they have the love, care and attention required. We were asked about a year ago to get involved by providing the children with a good vitamin/mineral supplement to help ensure that they get all the vites needed to assist with growth, energy, concentration and overall health. The day that we visited them I was really touched by these little children of different ages, so many of which had come from abusive situations or had been abandoned and it just touched my heart to see the smiles on their little faces despite how they had been dealt in life. I believe a major reason for those smiles is the love and acceptance that they feel at the Village Safe Haven. The people who run the Haven have really done such an amazing job and I would love to see them being able to help even more children. Children deserve love, joy, laughter and a safe place to experience it all. Help these children have the happy loving childhood they deserve. Remember to visit TheVillage Safe Haven on the 16th October from 10am. Click here to visit their site for info on the open day and to see how you can become involved. Great news! Complivite has recently been made available from Pharmacy Direct! This means that members of the Polmed Qualsa program, Bonitas AFA program (and other medical aids using Pharmacy Direct for dispensing) Complivite can be easily accessed via Pharmacy Direct. Remember to ask your Doctor to prescribe it for you. Just a reminder that Complivite is covered on the Polmed Qualsa program, Sizwe’s Yebolife program, All of Medscheme on AFA, Compcare’s HIV program, and Anglo Medical Aids HIV program. This means that if you are on one of these programs, you just need to ask your Doctor to prescribe it for you. There is NO extra charge to you on your medical aid and it DOESN’T come out of your savings when accessing Complivite via on of the above mentioned programs. Doctors – you can readily prescribe Complivite to patients on the programs mentioned above with the knowledge that Complivite aligns to best practice guidelines for these patients. Click on Complivite in the menu above for more info. For those wanting to dispense, please contact us. Imbizo Health manufactures and supplies micro-nutrient supplements formulated to assist with supporting the immune systems of all people especially those who are immune compromised.